Brussels sprouts have a terrible reputation but mainly because they are often horribly overcooked. Cooking them sous vide guarantees an al dente texture every time, allowing the flavour to shine. 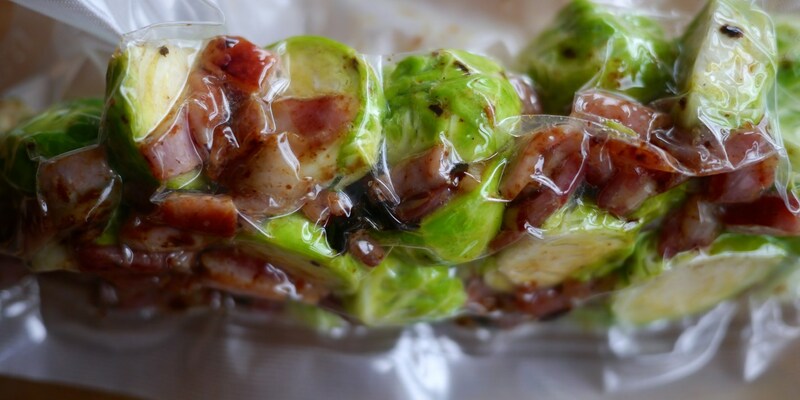 Adding bacon to the bag before cooking adds salt and smokiness but the sprouts are just as tasty if you leave it out. To caramelise the sprouts, toss them in some foaming butter in a hot pan for 5 minutes. Stir some diced, cooked chestnuts through the sprouts at the last minute for a great festive accompaniment to roast turkey.